Home / Incident / News / Viral / WATCH: Actual Footage of Tour Bus Accident in Tanay Rizal! 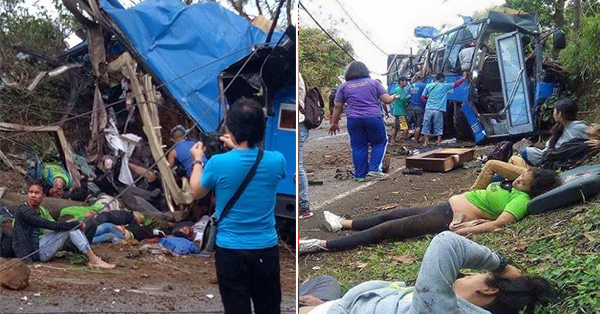 WATCH: Actual Footage of Tour Bus Accident in Tanay Rizal! A tourist bus figured in an accident in Tanay, Rizal, claiming the lives of at least 14 people, a report on Balitanghali on Monday said. The accident occurred at around 8 a.m. Monday. The tourist bus was transporting students from Quezon City at the time of the accident.